From stories of saints and relics to the (not-so) mundane traditions of daily life, Byzantium has long been regarded as one of history’s most curious civilizations. Rising from the rubble of the Roman Empire, this complex Christian society was a birthplace of literature, art, and architecture. 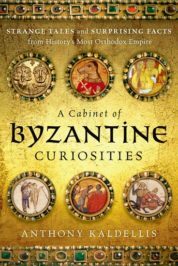 How much do you know about Byzantine culture? Based on trivia featured in A Cabinet of Byzantine Curiosities, we’ve put together a quiz to test whether you can separate the myths from the even stranger truths. Featured image credit: Shutterstock 87876304 (mountainpix). Do not reuse.